I don’t exactly remember when I got this vigorous push to savour the ocean of knowledge but all is know is that once you taste the water of this ocean, there is certainly no looking back. You will only go deeper! There were times in the past (and even now) when I found myself in the muddle (rising from endless debates and discussions) owing to my little knowledge of history, politics, mythology and religion and I think these kind of situations led to the departure of my train to another world. Well, I must say that this is an entire different world where you satisfy your taste buds with knowledge. Knowledge completely transforms the way you view this world. Certainly, it also impacted my overall persona and view of the world. As a result, I included ‘Travelling’ in my list after realizing that travelling not only enhances the knowledge but also makes your life joyous. With this, I finalised “Punjab” to be the first place in my exploration journey. 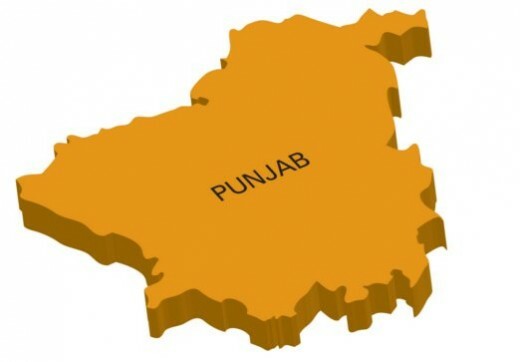 In this piece of writing, I not only intend to share my experience of Punjab with you but also want you to get acquainted with the history and things of great importance in Punjab. With the major population of sikhs dominating the area, it’s prerequisite to start the article with sikhism. 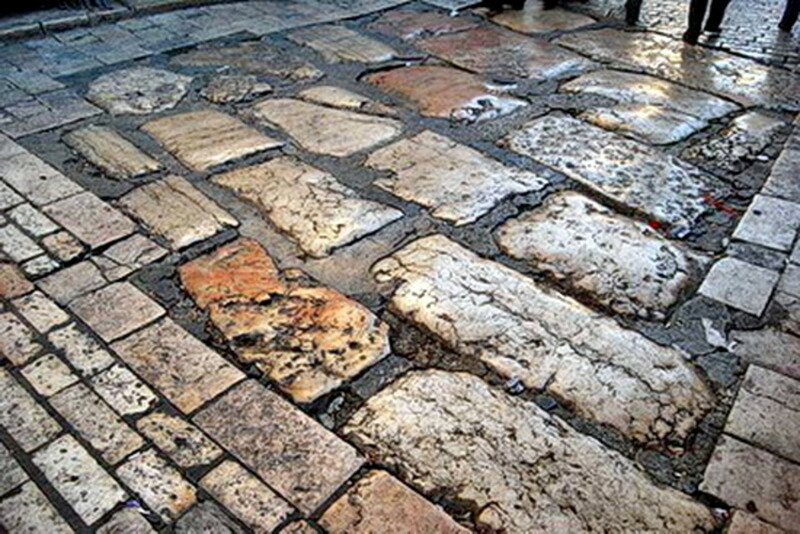 It will also lay down the foundation of the article and make the forthcoming things easy to comprehend. Since Golden Temple was on the top of my list, I rushed to gurudwara in excitement. In the entrance, there was a little foot cleaning pool in which I placed my feet. I also washed my hands and then touched the stairs. The act was an imitation of others. On asking one of the sevaks, I came to know that touching the stairs at the entrance is an act of humility in which a person gathers the dust of the saints' feet on his fingers and brings it to his forehead to feel the humility of being in the company of those who love the almighty. Well, there were many such actions by others that prompted me to ask the same sevak, my long list of questions. He noticed my curiosity and started guiding me from the very scratch. 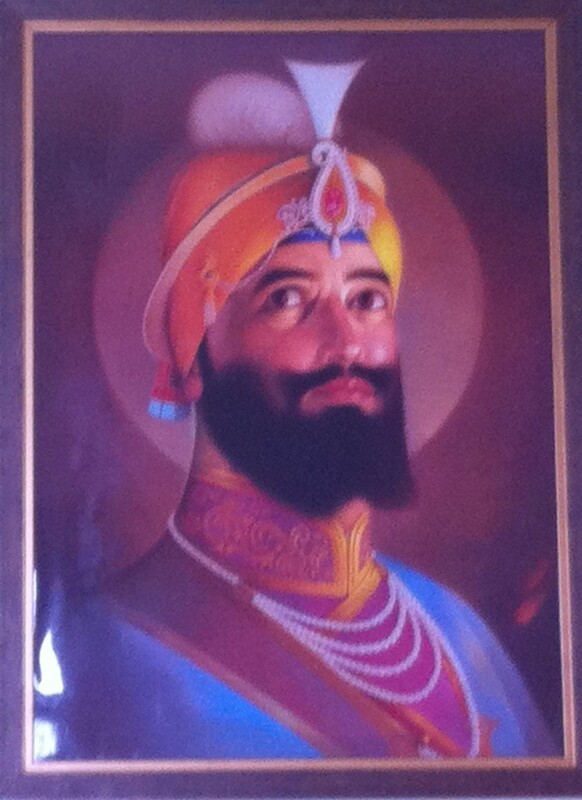 He first introduced me to sikhism and then Guru Granth Sahib. Sikh means ‘a learner’ or ‘a disciple’. Sikhism is led by the belief that there is only one God and he is the only truth that is eternal. All other things are just illusions. 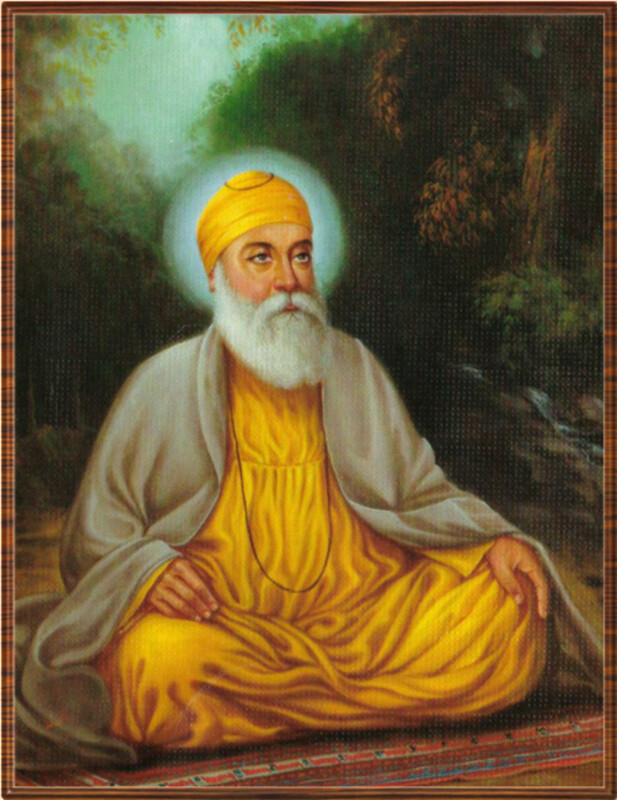 The religion was founded by Guru Nanak Dev ji, the first guru of sikh community. There are ten gurus in sikhism, however the sikhs are commanded to worship or place their belief only in “Guru Granth Sahib”. The hymns and compositions existing in the holy book were collected from Guru Nanak ji and his antecedents by Guru Arjan Dev ji. After collecting the hymns and compositions, he also compiled and perused them. Notably, these hymns (shabads in punjabi) and prayers are the authentic or actual words spoken by the Sikh Gurus. The book comprises political, economic, social and religious history of Punjab from fifteenth to seventeenth century and also aims to guide the human race with same in this present era. Imbibing these qualities within oneself would take humanity to another level in the society. Guru Granth Sahib prohibits any kind of discrimination against the human being of any other religion or caste. It preaches everyone to stay in equality. Gurus in sikhism were responsible for establishing dignity of labour, by making ‘seva’, the most important tool of spiritual development. “So kyu manda aakhiye jitt jamme raajan.” The statement implies "From woman, man is born; within woman, man is conceived; to woman he is engaged and married. Woman becomes his friend; through woman, the future generations come. When his woman dies, he seeks another woman; to woman he is bound. So why call her bad? From her, kings are born. From woman, woman is born; without woman, there would be no one at all. O Nanak, only the True Lord is without a woman. That mouth which praises the Lord continually is blessed and beautiful. O Nanak, those faces shall be radiant in the Court of the True Lord." Sikhism is led by the belief that there’s only one God and all other worship is false. It believes that God is the only reality that will exist, rest all is an illusion. Shri Guru Granth Sahib calls these vices ‘animal instincts’ and tells the human race to not let these instincts control you in any way. All humans must be truthful, irrespective of their religion as impurity of mind draws ego, lust, anger, lust, greed and attachment. There’s a very famous saying which you will hear if you’re in Gurudwara i.e. “Sikhan da mann neeva, matt uchi” which tells the sikhs to put down their ego and raise instead raise the thinking standards. The book tells every human to abide by this. It tells all the beings to accept the command of God easily without any emotional distress. Human beings should always be in Chardikala (positive attitude). Akal refers to ‘timeless’ and takht refers to ‘throne’. Since God is the only being who is timeless, Akal and Takht combines to form ‘Akal Takht’ which means the throne of timeless. 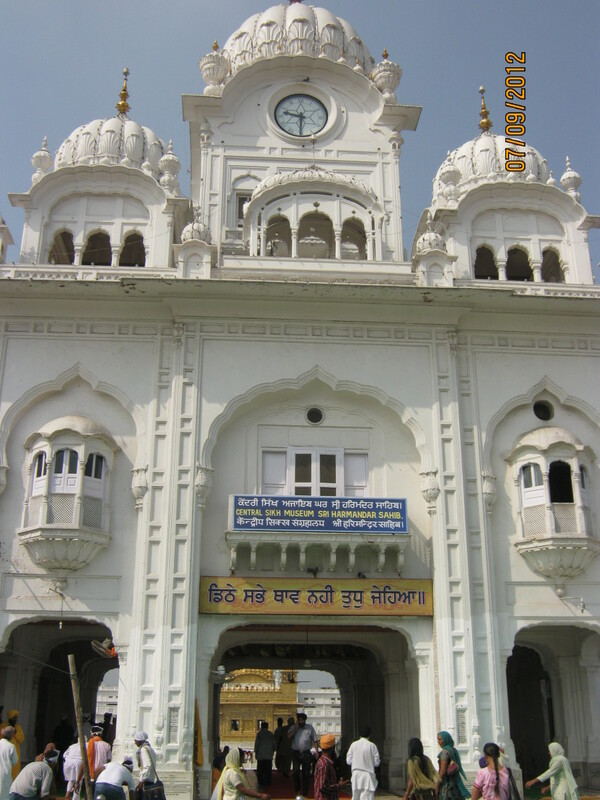 Akal Takht Sahib is situated in Golden Temple in Amritsar. It was built by Guru Hargobind Singh Ji, the sixth guru of sikhs. 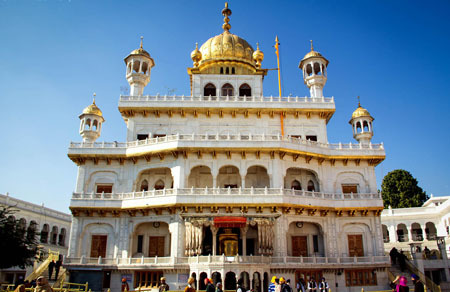 Adorned by gold, Akal Takht building is located opposite to Shri Harmandir Sahib or Golden Temple in the same complex. The takht is considered to be the place of justice, thus meetings or discussions in the place are aimed to provide justice to people. Here political, religious, economic and social decisions are also taken. Shri Keshgarh Sahib Gurudwara is one of the highest institutions of sikh in India and is situated in Anandpur or Anandpur Sahib. Guru Gobind Singh ji, the son of Guru Tegh Bahadur ji had a great contribution in making the gurudwara beautiful and expansive. 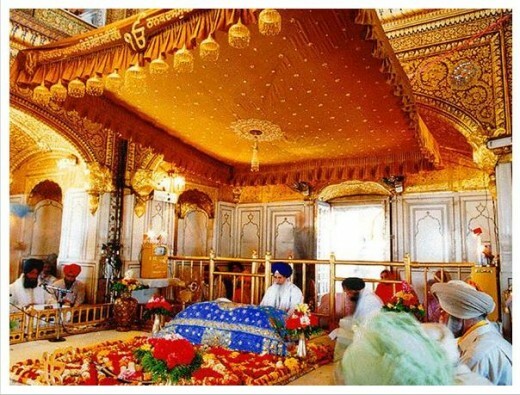 Shri Damdama Sahib, also known as the fifth Takht is situated in Bathinda and is of great significance in sikhism. This is where Shri Guru Gobind Singh ji assembled the final version of Guru Granth Sahib ji. Shri Patna Sahib is situated in Patna in the commemoration of Guru Gobind Singh ji. 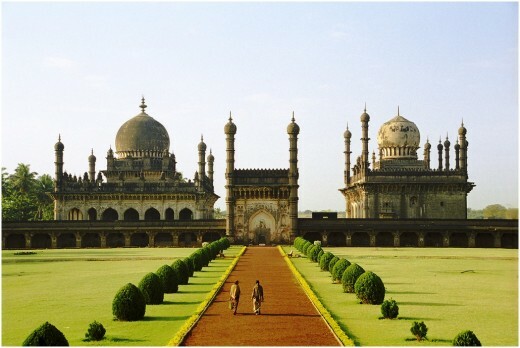 It is popular for its great history. Guru Nanak ji stayed here for 4 months on the request of Salis Rai Johri a middle aged Jeweler of Patna. Shri Hazur Sahib is located on the banks of Godavari river in Maharashtra and was built by Maharaja Ranjit Singh (the leader of sikh empire in early half of nineteenth century). This is where Guru Gobind Singh breathed his last. He was cremated at this place. So, this was the detailed overview of the significant history of Punjab but as usual it wasn’t enough for me. Thus, I asked the humble sevadar, “What is Punjab famous for?” and he had a long list. He started with the most prominent cities of Punjab and covered ‘Legends of Punjab’, ‘Punjabi population’s love for Lahore’ and obviously ‘the rich food of Punjab’. Chandigarh, Mohali, Zirakpur, Amritsar, Jalandhar, Ludhiana, Gurdaspur, Bathinda and Patiala are some of the most prominent cities of Punjab which are currently witnessing an unbelievable growth in the real estate sector owing to the corporate advancement, high standard of living, infrastructural development, peace, green belt, availability of reliable real estate developers and rich legacy. 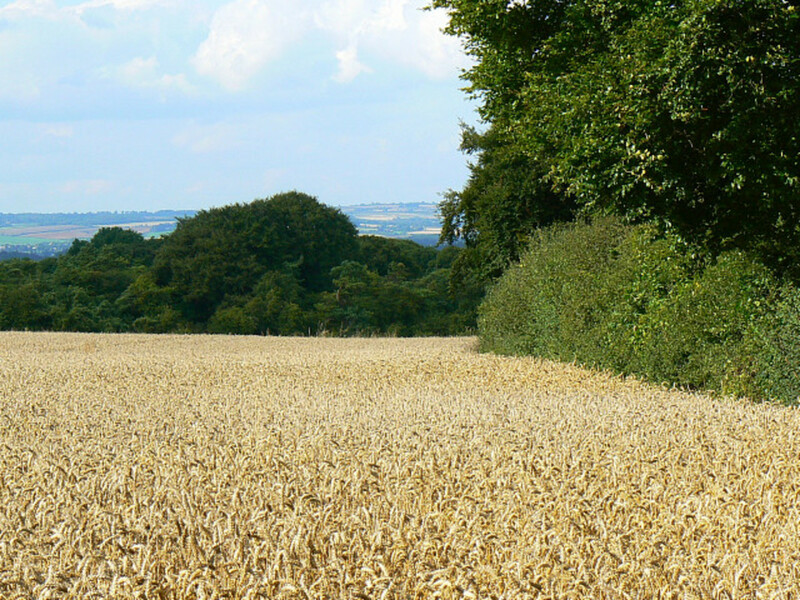 Punjab is also the leading producer of food and many cash crops such as sugarcane, cotton, wheat, yarn and barley. Apart from agriculture, Mohali, Zirakpur and Chandigarh are also known for providing that ‘right mix for business’. Below are some of the legends who decided to make a difference! Bulleh Shah: Popular by the name of Bulleh Shah, Syed Abdullah Shah Qadri was the famous philosopher and humanist. Many rock bands and albums rendered his poems and produces songs out of them. Shiv Kumar Batalvi: A renowned punjabi poet and the youngest recipient of Sahitya Akademi Award, Shiv Kumar Batalvi lived from 23 July, 1936 to 7 May, 1973. Some of his masterpieces in Punjabi Literature are- Loona, Alvida, Lajwanti, Mainu Vida Karo and Aarti. Gurdas Maan: Gurdas Mann is the most loved punjabi singer who is acclaimed for his great contribution in Punjabi music industry. He is the only punjabi singer to get national award for ‘Best Male Playback Singer at 54th National Film Awards. Besides this, he has won many other prestigious awards. Daara Singh: He was an eminent Indian professional wrestler, politician and actor. Dara Singh was the first sportsman to be nominated to the Rajya Sabha. He also acted in Ramanand Sagar's Ramayan. #Fact : The song “Ik kudi jida naam mohabbat” from Udta Punjab is a poem written by Shiv Kumar Batalvi, the famous poet of Punjab. Lahore being the capital city of the Pakistani province of Punjab has a significant yet influential sikh population. The city is a place to some of the literary cream and culturati. This is also the reason that Lahore is mentioned frequently in punjabi literature. Lahore closer proximity to Amritsar. Closer proximity of Guru Nanak’s birthplace to Lahore. Why leave rich food behind? Whenever there is a mention of food, Punjab’s buttery flavours take the centre stage. I started this toothsome affair with ‘Karah Parshad’ or ‘halwa’. Though I avoid ghee, but this time it was hard for me to resist the urge to have this palatable delicacy. So, I asked for more and treated my taste buds. Then I sat in the langar hall for ‘ ‘Guru ka langar’ . Believe me, the food at Gurudwara was ‘saada’ or ‘simple’ but undeniably the most appetizing. After taking a pleasant stroll around sarovar, I decided to check out the nearby market and this is where I had a rendezvous with ‘Amritsari fish’ at Makhan Fish and Chicken Corner. Finally, it was the time to bid adieu to this beautiful city of Punjab but I had already made the decision to come again to this pious place and explore other areas. Well, I have plans to buy ‘phulkari’ and ‘punjabi jutti’ on my next visit to this place.